Scaling smooth sloped Mount Kilimanjaro or walking out into the vast open plains of the Serengeti can be a life changing experience. Taking a stroll in Tanzania is like a walk into the belly of life, as you join one of the world's largest, wildest animal populations on plains where such spectacles as the annual migration of wildebeests take place. And after all that drama relax in the exotic island paradise of Zanzibar. 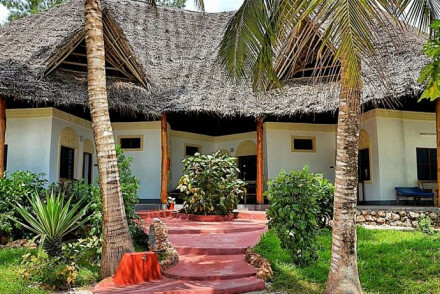 Our Guru's selections of the best places to stay in Tanzania are well placed to experience all of these and more. Dar es Salaam is the largest city in Tanzania and has a hustle that contrasts with the sparseness of the plains. Most safari goers start their journey here, and those in the know wash off the dust in the lush refreshment of the Zanzibar islands, with their white, palm-fringed beaches and coral gardens. Though of course Zanzibar is a destination in its own right. The scent of cloves mingles in Zanzibar’s air with the salt sea breeze - it's the clove trade which has given Zanzibar the moniker of the ‘Spice Island’. 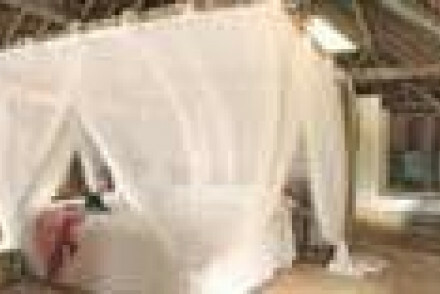 Raffia and tourism are the other main trades. It's the safari in the middle where the choices of the best places to stay in Tanzania are hardest! The vast, extinct volcano of the Ngorongoro Crater is packed with game, and the setting is truly spectacular. The Serengeti also has a wondrous appeal. It's Tanzania's largest and most famous national park, and home to the incredible spectacle of the annual wildebeest migration - one of the biggest wildlife events on earth. Kilimanjaro is another reason to visit Tanzania. Hike up, bike up (or down), take a helicopter to the top, there are many ways to conquer this mountain. The Ngorongoro Crater Lodge has incredible views over the crater, and is an exceptional spot for game viewing. It's also an elegant hotel - with a butler service designed to spoil you. If money is no object then this is easily one of the best places to stay in Tanzania. The Sayari Camp, on the banks of the Mara River in the remote northern Serengeti is another good choice if you want to safari in luxury. The landscape alone will leave you in awe, but there's also plenty of wildlife to spot, either on foot, in a jeep, or by balloon. This region is known for large prides and plenty of big game. Photographers love Kleins Camp, set in hills just outside the Serengeti Reserve. The views from this camp out onto the plains are majestic. And because they're outside the Serengeti proper, they're also able to offer night drives and safaris in open sided vehicles. 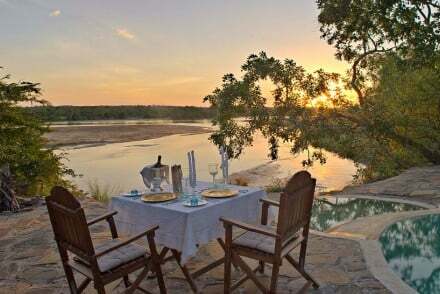 Small and privately owned, Beho Beho, in the Selous Game Reserve has nine spacious bandas, providing extremely comfortable accommodation - with amazing views over a gorge. They also have a reputation for good food. 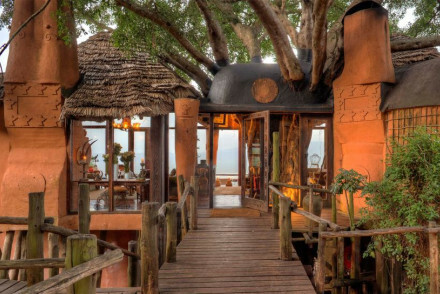 Lake Manyara Tree Lodge in Lake Manyara National Park is a great choice if you're looking for crowd-free luxury. The accommodation is in ten tree house-style lodges made from local timber and palm fronds, discreetly tucked away in an ancient mahogany forest. 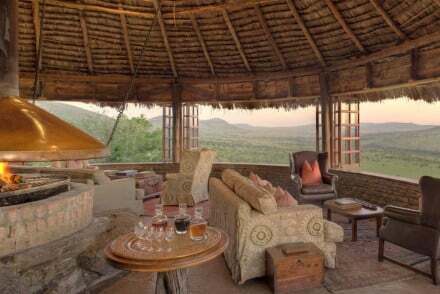 For a back-to-nature safari experience one of the best places to stay in Tanzania is Mwagusi, in thte Ruaha National Park. Owner operated, by a very knowledgable guide, and right beside a river, this camp gives you a real sense of being away from everything. Accommodation is in bandas. 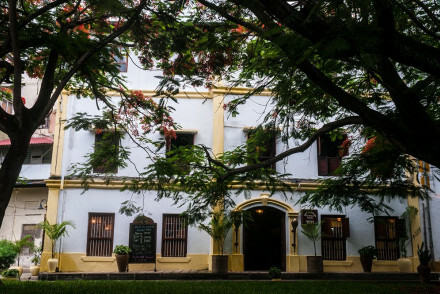 The Zanzibar Serena Inn is a great choice for anyone looking for old fashioned charm in the heart of Stone Town. This hotel has the vibe of a colonial country club, with whitewashed walls, dark wood furniture and lots of linen and muslin. The sea views are beautifully soothing. On its own private island, only 15mins from Stone Town by boat, Chapwani Private Island is a lovely collection of eleven eco-friendly lodges, each with two bedrooms and two bathrooms. So this is one of the best places to stay in Tanzania if you're looking for somewhere to beach break with your family after your safari. Even though the island is tiny, it's wonderfully biodiverse - spotting a rare giant crab may be a highlight. If you're planning a honeymoon and money is no object, The Palms will tick all the boxes. There are just six villas, set between tropical gardens, coconut palms and a perfect white, sandy beach. So there's hardly any one to share the sophisticated restaurant, gorgeous pool and water sports facilities with. 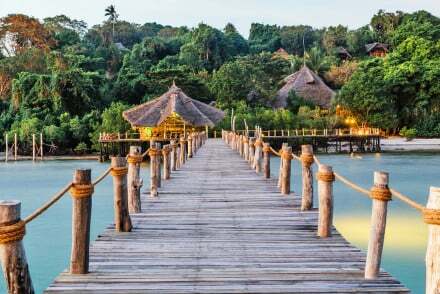 Mnemba Island Lodge's exclusive Robinson Crusoe lifestyle attracts celebrities to this beautiful, but tiny island. The ten, thatch sided suites have verandahs opening onto the sea - in fact you can see the ocean without getting out of bed. Each suite has its own butler to assist you to relax - the ultimate in castaway luxury! 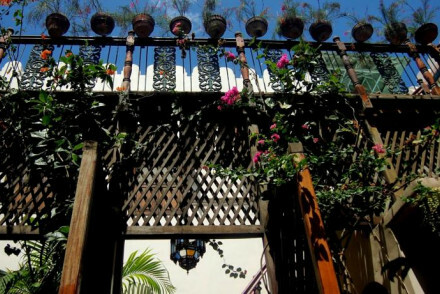 There are a number of options at the budget end in Zanzibar's Stone Town, but Beyt al Chai's charm, colour and character make it one of the best. This building used to be a tea house, and has been converted cleverly and decorated in a fusion of Arabic and African styles - just like Zanzibar itself. It also has a good restaurant and comfortable lounge bar. The Shooting Star Lodge offers budget prices right on the beach. 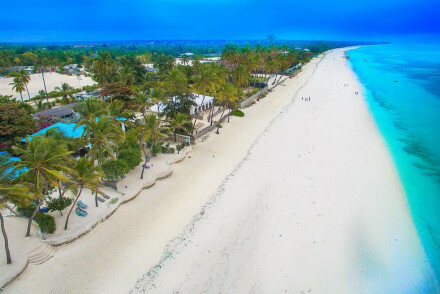 There's a small lodge and a collection of private bungalows, most of which have rooms overlooking the bright white sands of Kwengwa Beach below, and rooms start at less than £75 per night. Pongwe Beach Hotel is a good option for honeymooners on a budget. It's a collection of 16 cottages, each only sleeping two, tucked away in a beautiful little cove, right behind a beautiful coral outcrop. The hotel also owns the land surrounding it, so it's a good option if you're looking for some privacy. Still undecided? Browse through our list of all the best places to stay in Tanzania, or contact one of our friendly gurus for advice. Sixteen cottages sprawled through gardens in a gorgeous sheltered cove. Traditional lime walls and woven palm thatches on the beach. An affordable introduction to paradise on Zanzibar's east coast. Beach life at its best. Fishing - Hand-line fishing equippment is available on site and game-fishing can be arranged. Kayaking - Head out on the waves in the complimentary Kayaks. Paradise found in this boho-chic property on a perfect swathe of powder white sand. Simply decorated rooms are all crisp white on white with contemporary wooden furniture and luxurious bathrooms. There's a glorious pool, superb seafood and excellent price tag. Utterly spoiling. Beach Life - A boho-chic set up placed on a perfect stretch of powder white sand. Diving - Search for tropical fish and turtles. Charming, tranquil budget hotel in a former tea house. Beautiful bedrooms decorated in a fusion of Arabic and African style with four poster beds and rich colours. A relaxing lounge, great restaurant. and a host of other facilities such as spa, scuba course and banqueting. Value chic - A beautifully renovated tea house on Kelele Square, central Stone Town, with chic Zanzibari-stlye decor and wonderful seaviews. A taste of the real Zanzibar at this rambling Stone Town palace. Rooms full of typical Zanzibari furniture and antiques, and have verandahs that overlook the rooftops and the Indian Ocean beyond. Fabulous roof top bar and restaurant. A Zanzibari romance. Local markets - Stock up on fabrics, shoes, spices and other gifts in the network of alleyways. Great walks - Explore the maze of alleys, shops and stalls of this Unesco-recognised town. Sailing - Rent a boat and sail to one of the nearby islands. A tranquil resort located on a picture perfect tropical island. Rooms, spread throughout the lush gardens, are traditional in style with thatched roofs, tiled floors, antique furniture and spectacular sea views. 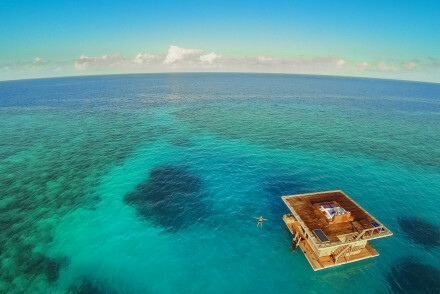 For those in search of something a little unorthodox there's an underwater room too. Beach Life - Situated on an idyllic stretch of powder white sand and offering fantastic diving opportunities. Fishing - Fish for wahoo, tuna, sailfish, dorado, giant trevally or barracudas. Diving - Explore the untouched reefs that circle the whole of Pemba Island. Birdwatching - Discover the Ngezi Rainforest that's teeming with exotic birds. Remote stylish tented beach resort. Safari-style tented rooms with private balconies and plunge pools. A large infinity pool and spa specialising in African techniques make for complete relaxation. An excellent restaurant and three bars. The ultimate getaway for honeymooners and beach lovers alike. Hideaway - Leave your shoes and gadgets behind and settle into the laid back island lifestyle where your only decisons are sea or pool? Honeymoons - A tranquil couples retreat with secluded villas, private coulpes dining on the beach, tandem massages and sunset cruises. Diving - The resort has a fully equipped PADI dive centre, and some of the worlds best and most unspoilt reefs. Great walks - Take a low tide stroll along the beach and spot the herons, ibis, egrets, parrots, and ghost crabs. 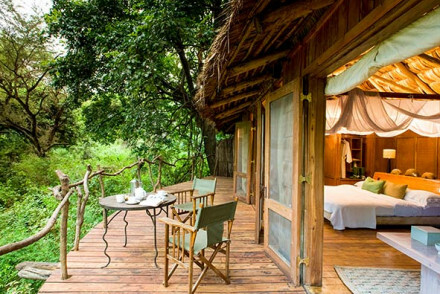 Gorgeous timber suites near Lake Manyara. Robinson Crusoe-esque tree house lodges crafted from local materials. One of the least crowded safaris in the Northern Parks, but no less luxurious. Fishing - Fishing can be organised by the lodge, enquire for details. One of the most exclusive and luxurious hotels in the world, and one of the most unique. Fantastic views to the extinct volcano packed with game. Sumptuous opulence, colonial elegance, and a spoiling butler service. Local exploring - Set along the rim of a crater in the Ngorongoro Conservation Area this is the perfect spot for setting off on Safari. Safari - Two drives a day into the Ngorongoro Crater, spectacular views and abundent wildlife. Great walks - A late afternoon walk along the western rim of the Ngorongoro Crater allows guests to experience various natural habitats. Breathtaking views from this camp in hills just outside the Serengeti Reserve. Beautiful plush colonial style rooms with muslin drapes and large windows. A wide range of safaris on offer, including night drives and walking safaris. Luxury in the wilderness. Safari - Set on a private concession on the northern border of the Serengeti National Park, experience night drives and go off-roading. Back to Nature - Perched on the edge of the Kuka Hills, an exclusive wilderness concession that borders the vast Serengeti plains. Birdwatching - There is an extraordinary range and diversity of birdlife at the camp. A rustic camp exuding character and a homely charm. Bandas with private balconies are made from local materials - grass thatch, timber, drift wood, stones and reeds. Friendly staff give a laid back feel. Dine in the evening under the stars. Ideal for escaping to the wild. Back to Nature - Immerse yourself in this dramatic landscapes with an abundence of plants and animals and knowledgable rangers to guide you. Romantic Break - A perfect getaway for couples, with pampering bandas and romantic candle-light dinners under the blanket of African stars. Birdwatching - A guided early morning bird walk takes place in and around the camp premises. 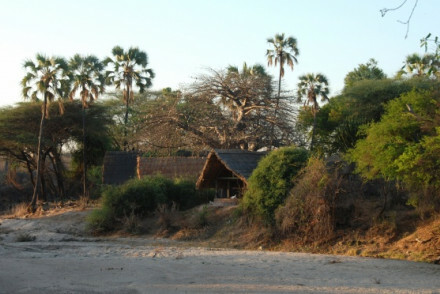 Informal, attractive and good value, the best tented safari camp in the Selous. Separate traditional-chic tented bandas on the banks of a lagoon. A relaxed and laid bank camp atmosphere. Honeymoons - Enjoy al fresco dining for two under the African skies, then retire to your luxorious suite overlooking the river. Back to Nature - Unspoilt wilderness teaming with elephants, lions, rhinos, leopards, wild dogs, giraffes, hippos and crocodiles. Great walks - Hike through the bush, sleep under the African Sky in a fly camp complete with a private cook, butler and guide. Birdwatching - The Selous Game Reserve boasts over 400 species of birds. Alluring Polynesian style beach hideaway on the edge a tropical forest, on the banks of a fresh water lagoon and a deserted beach. Private suites and villas on the beach front and further in to the forest. A beach paradise for total relaxation. Comfortable accommodation and first-rate food at this small privately owned camp. Airy and romantically decorated stone bandas with large bathrooms and open air showers. 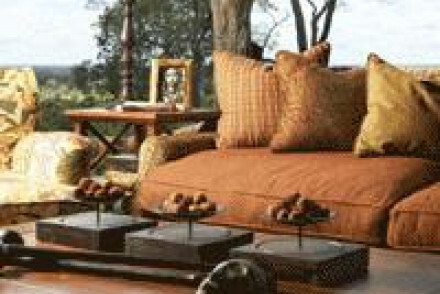 A luxury safari spot. 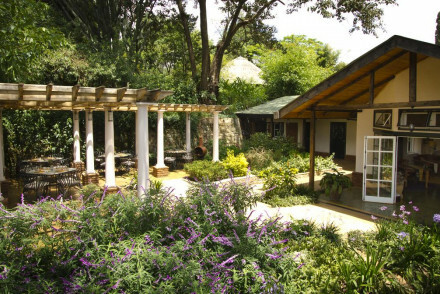 A charming rustic chic farm, with cosy cottages, set on the wooded slopes of the stunning Ngorongoro Crater. Accommodation is spacious and light with polished wooden floors, beamed ceilings and exposed stone. But it's the views from the terraces that are the real draw. A tranquil spot.